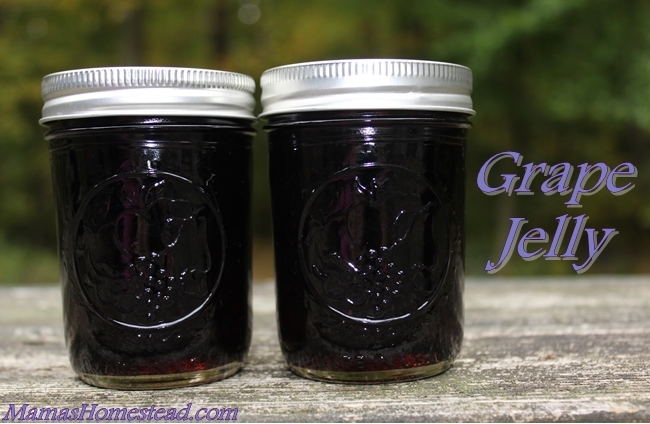 Grape jelly, especially Concord grape, is one of my kids’ favorite jellies. 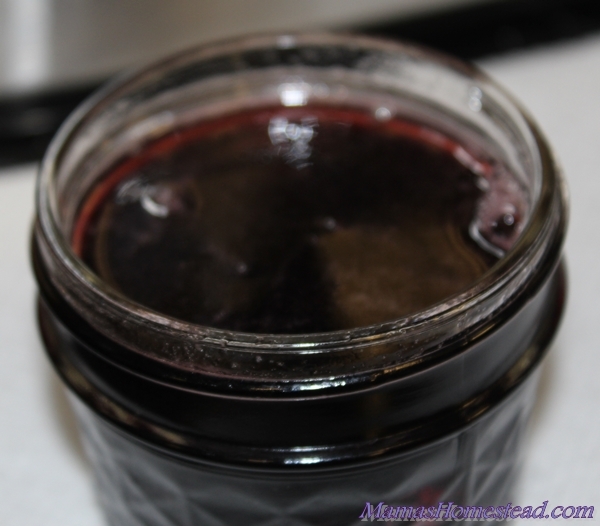 We used unsweetened grape juice that was made of a blend of grape juice from concentrate (including Concord) from the grocery store for this recipe, but fresh Concord Grape Juice has the best flavor. 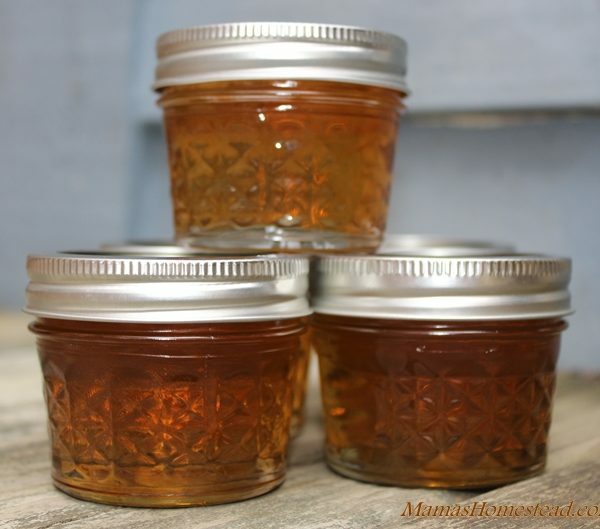 This recipe filled approximately 8- 8 ounce or 5- 12 ounce jelly jars. 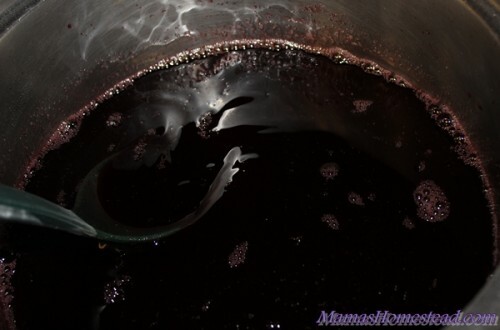 Pour grape juice into a medium sauce pan. Add pectin, stir until dissolved. Bring to a boil that doesn’t stop when stirred. Add sugar and stir until dissolved. Bring mixture to a full boil and allow to cook until a temperature of 220 degrees F (on a candy thermometer), stirring constantly. Turn off heat. Skim off foam, if necessary (If you like, you can microwave the foam for 30 seconds to return it to a jelly like substance.). 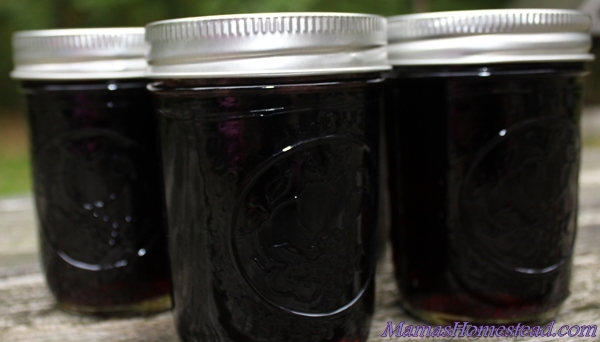 Refrigerate your grape jelly and enjoy or can it to enjoy the rest of the year. Ladle hot grape jelly into prepared jars, allowing ¼ inch head space. 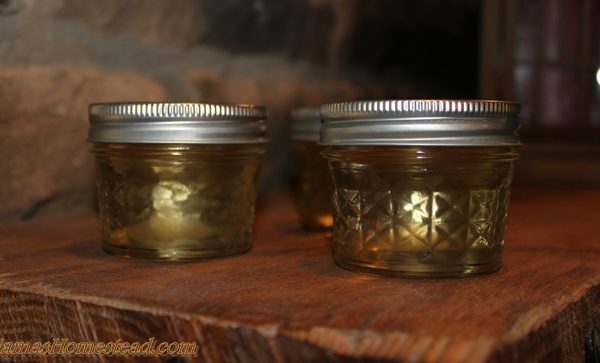 Wipe rim and threads of jars with a clean, damp cloth. Use a jar lifter to place your jelly in a boiling water bath. Place the lid on the canner. Bring water to a boil. Process your grape jelly in the boiling water bath for 10 minutes (1,000 feet above sea level). 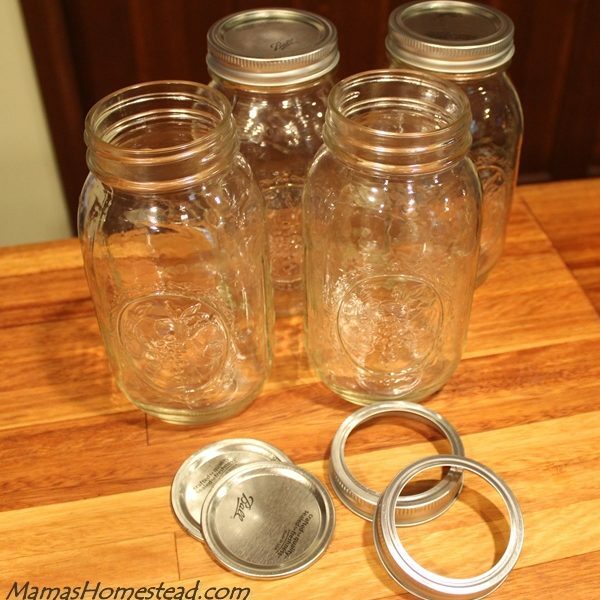 Note: Water must cover jars by 1 to 2 inches; add boiling water, if necessary. Pour grape juice into a medium sauce pan. Add pectin, stir until dissolved. Bring to a boil that does not stop when stirred. Ladle hot grape jelly into prepared jars, allowing ¼ inch headspace. 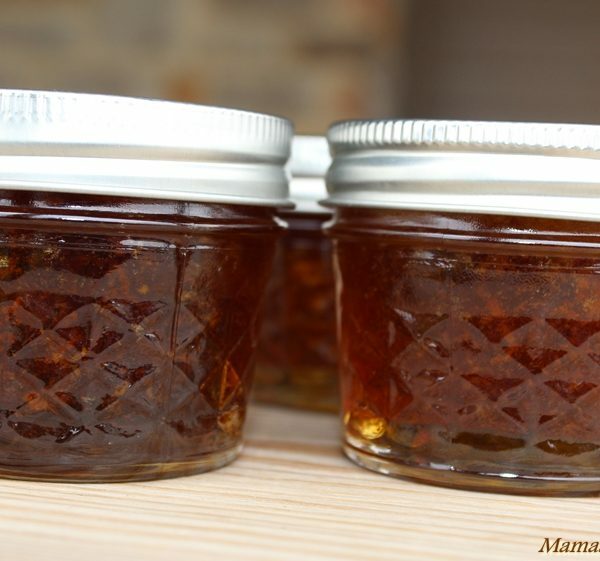 Wipe rim and threads of jars with a clean, damp cloth.